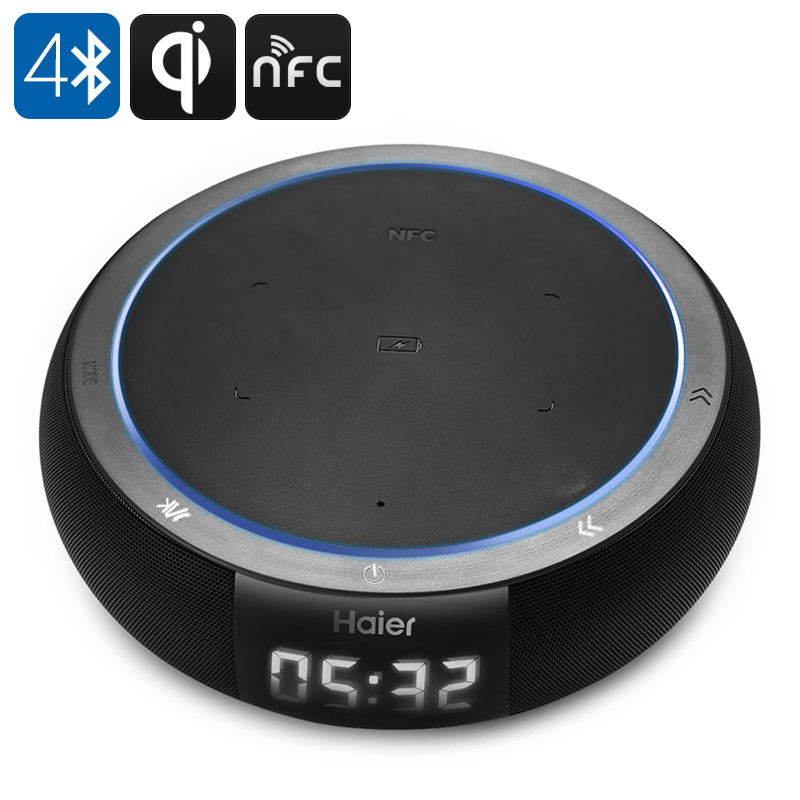 Successfully Added Haier QI Wireless Speaker - Dual-5W Speaker, 360-Degree Audio, Microphone, QI Wireless Charging, 10m Bluetooth Range, 2600mAh to your Shopping Cart. Charge your phone while listening to your favorite tracks with the Haier QI wireless speaker. This stylish Bluetooth speaker supports NFC and QI wireless charging. Thanks to this, you’ll be able to simply place your phone on top of your wireless speaker after which its battery will get charged automatically. From now on, you’ll be able to listen to all the songs of your liking without ever needing to worry about battery life again. With the Haier QI wireless speaker, you can enjoy an endless music experience no matter where you’re at. With its round design, this Bluetooth speaker delivers stunning 360-degree audio. Thanks to this, anybody in the room can enjoy the latest tracks to their absolute most. With its Dual 5W HiFi speakers and enhanced bass, you’re sure to undergo an audiophile music experience. This Bluetooth speaker puts forth plenty of Db, guaranteeing that you’ll be able to enjoy your tracks in stunning quality. With its 10m Bluetooth range, it even allows you to walk around with your phone at hand without disturbing the audio. Your wireless speaker packs a 2600mAh battery which lets you use it anywhere you’re at for up to 6 hours straight. With the speaker’s easy to use design, your Bluetooth speaker can be simply operated through its touch buttons. Additionally, it also supports App control for further efficiency. The next time you throw a party for friends or family, you’ll be able to treat them to endless and stunning audio. With the Haier QI wireless speaker, your phone will never run out of juice again. The Haier QI Wireless Speaker comes with a 12 months warranty, brought to you by the leader in electronic devices as well as wholesale Bluetooth speakers..